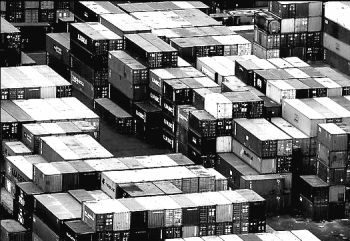 The container craze on Linux platforms just took an interesting twist now that Red Hat is shelling out $250 million to acquire its upstart rival in Linux and containers, CoreOS. As the largest and by far the most profitable open source software company in the world – it had $2.4 billion in sales in fiscal 2017, brought $253.7 million of that to the bottom line, and ended that fiscal year in February with a $2.7 billion subscription and services backlog – Red Hat has not been afraid to spend some money to get its hands on control of key open source projects and the people who bring their passion to them. This is how Red Hat is continually evolving its Linux stack, and how it keeps turning open source bits into money. The wonder is that it has not spent more money, to be honest. But the people who start open source projects are often idealists, and they often don’t want to sell their companies as they try to change the world. Back in April 2006, during the salad days of the early commercial Internet, Red Hat bought middleware maker JBoss for $350 million so it would have something to sell against IBM, Oracle, and Microsoft. Then in September 2008, when server virtualization was taking off and VMware and XenSource were making waves with their respective ESXi and Xen hypervisors, Red Hat bought Qumranet for $107 million, giving it control over the KVM hypervisor, which it commercialized. In storage, Red Hat acquired clustered file system upstart Gluster back in October 2011, but had no interest in starting its own Hadoop distribution or buying one of the existing Hadoop disties. It did roll up its own OpenStack back in 2013, after the project opened up control of itself beyond the Rackspace Hosting folks who founded it, and then in April 2014, it bought Inktank, the company behind the Ceph object storage, for $175 million. And in October 2015, it reportedly spent around $100 million to acquire Ansible to automate the software development and deployment process. If Red Hat is making an acquisition, by definition it thinks it needs to have more control over a particular part of the software stack, or another company represents a real threat to the vast installed base of Red Hat Enterprise Linux and the layers and layers of code that is added on top to create platforms. With CoreOS, we think the strategy involves a little of both, given the rapid adoption that Container Linux (formerly known as CoreOS Linux and inspired by Google’s self-updating, homegrown Linux for its Chromebooks) and Tectonic orchestration system (an implementation of the Kubernetes container controller that was inspired by Google’s own Borg and Omega systems and open sourced by the search engine giant), as well as the Quay container registry that it CoreOS acquired in 2014. To date, CoreOS had raised an undisclosed amount of funding seed since its founding in 2013 by Alex Polvi and Brandon Phillips. In the following three years, CoreOS raised $50 million in two rounds of funding from Kleiner Perkins and Google Ventures and has not needed to do more than that to keep the business growing. What it is good for Red Hat to have control of the many open source projects that CoreOS controls or contributes to in a heavy way, what the Linux giant is really doing is bringing on board the 130 software engineers that are located in the companies offices in San Francisco, New York, and Berlin so they can help Red Hat forge a better Kubernetes platform than it has done to date with OpenShift. Red Hat is a public company, so it doesn’t say much in its announcement of the deal about what it intends to do with CoreOS. The more detailed FAQ on the acquisition adds some color, explaining that existing products will be supported and also hinting that the CoreOS technologies will be woven in some fashion into OpenShift. After making one paradigm shift from its native gears architecture to Docker containers managed by Kubernetes, it would not be a big stretch to rebrand Tectonic and Quay as the next OpenShift platform cloud or Atomic Host container environment and try to commercialize either or both across the base of Red Hat Linux customers. It seems unlikely that Red Hat will keep two different stacks out there as well as a totally different Linux, distinct from its own Enterprise Linux, for a long time. But for now, the two companies are talking about how the Red Hat and CoreOS stacks are complementary, not merging or being usurped by each other in some fashion. While we think that the size and scale of Red Hat will do much to help the CoreOS stack be propagated to enterprises, if they stay alive, we think that Red Hat will be hard pressed to maintain development of both sets of code over the long term. And that means there will be one fewer – and sometimes contentious – voice in the Linux community and broader open source ecosystem. But to be honest, $250 million would be a lot to turn down, and there are very few people on earth who would do so. Maybe none.